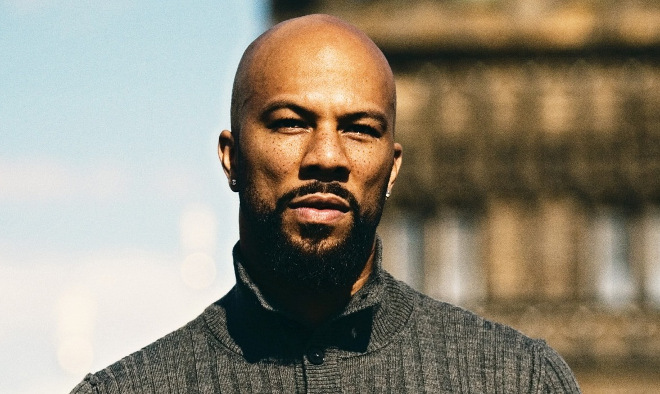 Common – War (first leak from the forthcoming album Nobody Smiling) | "Up to date / state of the art / take part, get taken apart as I make my mark"
For about half a second I was mildly pleased by the news that Common’s recently announced forthcoming album Nobody Smiling is a response to ‘all the violence that was going on in Chicago‘. Then I heard him trying his very hardest to sound fierce on first single ‘War’. It almost works, for a moment, on certain parts of the track. Not the hook, and definitely not the bit at the end where his voice goes squeaky. Like hearing a report on gang violence from Minnie Mouse. But mostly not as entertaining. I get the feeling Common’s the kind of guy who could report the apocalypse and mostly sound bored. It’s like that really funny Tyler line, ‘listening to Common’s latest album to get juiced up‘, so cruel because I can imagine Common hearing that and taking it at face value. He’s currently working on Nobody Smiling with long time co-conspiritor No I.D., other collaborations confirmed so far include 20 year old Californian Vince Staples (a guy I’ve been avoiding thus far cos he did an album with Mac Miller) and James Fauntleroy (a guy I’ve been avoiding cos I’m totally prejudiced and the Fauntleroy makes me think he should be wearing a bowler hat). He’s also been talking about how he’s excited about the younger generation of emcees coming from his hometown, so I’m crossing my fingers for a Chief Keef cameo as well. Maybe then it’ll be worth listening to. This entry was posted on January 8, 2014 by Ringo P in All Up In Your Face, Guilty Pleasures, Uncategorized, Where Has He Been?, World Music, WTF? and tagged Chicago, Chief Keef, Common, James Fauntleroy, Mac Miller, Minnie Mouse, No I.D., Vince Staples.